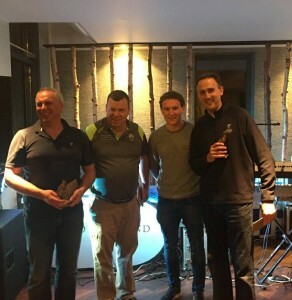 Templenoe GAA Club held their inaugural Golf Scramble in the Ring of Kerry Golf Club last month. Despite the weather they had a great turn out over the two days. The club would like to thank Ring Of Kerry Golf Club for the use of their Golf Club and their support over the weekend. They would like also to Gallivan Murphy Hooper Dolan for sponsoring the event and Fota Island Resort for sponsoring the prizes. Finally a big thanks to everyone for attending and they hope to see you all out again next year.